Establishing and maintaining a strong professional network is essential for anyone who wants to find success in business. Knowing the right people can lead to job offers, lucrative deals and better informed decision-making. To make the most of these possibilities, you must go beyond being personable and look for chances to maximize your network’s value. Throughout your career, you have countless chances to make contact with individuals who have the potential to help you move toward your goals. By strategically managing these relationships, you develop a powerful network that advances your business priorities. 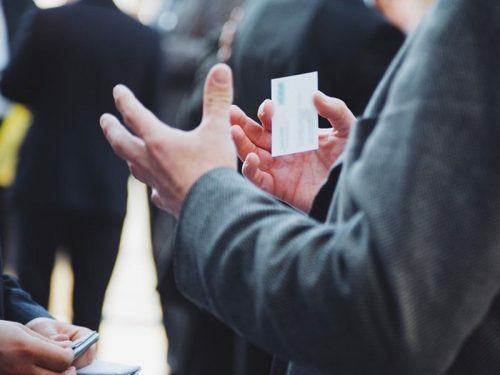 Conferences, social events and online MBA courses all bring opportunities to form connections that will make you a more effective leader. It’s often useful to exchange ideas and tips with people who have similar skills and backgrounds to your own. However, a quality professional network involves people with varying areas of expertise. Knowing who can help when a problem arises or you need to learn more about a specialized aspect of business is invaluable. Mentors, such as respected business leaders and former professors, offer guidance and challenge you to refine your ideas. Connected insiders know about all the latest developments in your industry and can provide valuable feedback on your strategies. Promoters back you up, reliably supporting your endeavors and helping you to put plans into action. Outsiders work in an industry that may have minimal or no connection to your own, but they offer a fresh perspective and a sense of broader trends. With the benefit of many different viewpoints, you’ll be able to gather useful perspectives on innovative concepts. Evaluate what you most need out of your network and expand it accordingly. Social media websites have become a feature of everyday life for seven in 10 Americans, according to Pew Research Center. Many of us do not capture the full potential of these platforms for professional advancement. Your online presence can be an important part of how you get in touch with key business contacts and progress your career. By presenting a highly professional image and clearly laying out your business interests, you can expand your network. Use social media as a way to build on the connections you make at events or conferences, following up with a brief and personalized message. If you spot someone online with whom you’d like to consult, seek out a mutual acquaintance to make an introduction. If you want a healthy network of people who are there when you need them, you have to invest time and effort. Do favors for your contacts, whether that means passing along a lead on a job, acting as a professional reference or giving feedback on a business idea. Don’t wait until someone asks for assistance; be proactive and exhibit a genuine interest in boosting others. Always express gratitude whenever someone helps you out, sending a quick note to show your appreciation. With these types of gestures, you lay the foundation for a relationship that will remain productive. Lengthy periods of silence can mean missing out on crucial insights and can make it awkward to contact people when you need them. Avoid these issues by taking care to stay in touch with the people in your network. Find different ways to show an interest in your contacts, like sending an email to congratulate a colleague on a promotion. Pass along a recommendation for a good book or interesting lecture to an acquaintance who’s always interested in the latest thinking in the field. Invite someone you met at a conference to exchange ideas over a cup of coffee. Sustaining a great career begins with learning the strategies and tools that drive success in today’s corporate landscape. While earning an online MBA degree at Villanova University, students take courses that teach them to work effectively with a team and draw on data to create strategic plans. Part of that education is connecting with professors and fellow students who offer immediate insights and can become contacts in a professional network. Visit the program page to learn more about Villanova School of Business and find out how you can apply.